Dave Grusin grew up as the son of a Latvian immigrant in rural Colorado and spent his early years training to be a cowboy. However, his father strongly encouraged him to seriously study music...so he did. A timely audition after college led Dave to playing piano, arranging music, and eventually becoming a Music Director on "The Andy Williams Show" in Los Angeles. The connection to Andy Williams led to a long series of incredible music introductions. Dave quickly became one of the most sought after TV music writers for shows like "Maude" "Good Times," "It Takes A Thief" "Dan August" and "St. Elsewhere" to name but a few. In the mid 1970's, Dave moved to NYC and reconnected with his old friend Larry Rosen. Soon they were producing records together and developing the signature Grusin-Rosen sound. Their partnership led to the formation of GRP RECORDS, the best-selling jazz label in the music industry for five consecutive years. Because of their groundbreaking work in sound design and digital recording, GRP led the way to completely transform the music industry. GRP grew to dominate the Jazz Music Awards, receiving eighty Grammy Nominations. Grusin's signature hit song "Mountain Dance" broke new sales records and led to a whole new music genre called Contemporary or Fusion Jazz. Dave also became a first-call Arranger and Performer on numerous pop artists' projects; Billy Joel, Chaka Khan, Brazil '66, Peggy Lee, James Taylor, Paul Simon, Al Jarreau, Judy Collins, Quincy Jones, Stephen Bishop, and Patti Austin were only a few who called on Dave to create musical arrangements and play the piano on their albums. And also during this time, Grusin was performing his original music in concert and touring the world as part of the NY/LA GRP ALL-STARS. Dave Grusin's ultimate goal has always been writing music for Film. Living a completely bicoastal life, he began scoring major feature films; "Heaven Can Wait," "The Milagro Beanfield War," "The Fabulous Baker Boys," "Havana," "The Champ," "On Golden Pond," "The Firm," and "Tootsie." These are just some of over sixty Feature Films that earned Grusin eight Oscar Nominations. In recent years, Dave's recording projects have become historic through critically acclaimed CD tributes to his heroes; Duke Ellington, "Homage to Duke", George Gershwin "The Gershwin Connection", Henry Mancini "Two For the Road", and Leonard Bernstein's "West Side Story". Dave has also moved into new and different genres by recording with opera singer Renée Fleming and other classical musicians. The life of Dave Grusin is unbelievably prolific. 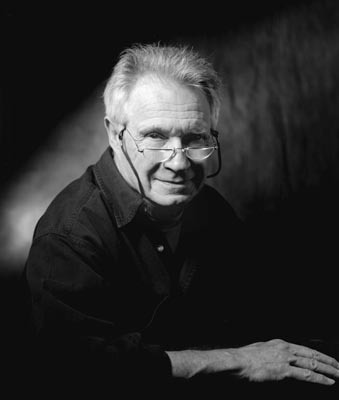 Many people have no knowledge of the degree of output, variety of projects, and unparalleled admiration and respect that Dave Grusin garners within the industry. Because above all things, Dave is the most humble person you will ever meet. "DAVE GRUSIN: NOT ENOUGH TIME" is a story that will inspire audiences worldwide! "Dave can do anything, and he's done everything." Some of the artists that built their music careers through their relationship with GRP were Tom Browne, Angela Bofil, Noel Pointer, David Benoit, Eddie Daniels, Kevin Eubanks, Arturo Sandoval, Diane Schuur, Earl Klugh, Chick Corea, Dave Valentin, Gerry Mulligan, Don Grusin, Special EFX, The Yellowjackets, and NY Voices, to name but a few. GRP also amplified the careers of many studio musicians such as Lee Ritenour, Harvey Mason, John Patitucci, Gary Burton, Tom Scott, Marcus Miller, Michael Brecker, Dave Weckl and many others who have gone on to become legends in the music industry. GRP was distributed by Arista until 1982 when Grusin and Rosen boldly decided to go wholly independent. The superior sound quality combined with the exceptional caliber of artists signed to the label, led to becoming the top-selling Jazz Label for five consecutive years. In 1990, GRP was bought by MCA, although Grusin and Rosen stayed on board for another five years. During that time, they had access to the catalogues of Impulse! and Decca records which GRP began to re-master and re-issue in the new CD format. GRP Records was nominated for eighty Grammy Awards, winning thirty-three.